Last weekend me and my wife visited the family of one of my brothers. They recently had their second child, so that was the reason for us dropping by. This time we didn't bring Elvis Sings For Children And Grownups Too! as a gift to the new-born like we did last time, but that didn't stop me and my brother from talking Elvis. Turned out he had bought one of the soundtrack albums released this year by Sony Special Products. The soundtrack in question was Viva Las Vegas, and my brother got it because "this is how it could've been." Listening to it, we discussed how incredible it was that only six of the songs recorded were released at the time instead of all of them on a soundtrack LP. 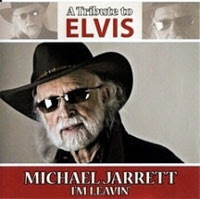 A single featuring the title song and "What'd I Say" was issued, followed by a soundtrack 7" extended play record containing "If You Think I Don't Need You," "I Need Somebody To Lean On," C'mon Everybody" and "Today, Tomorrow And Forever." The release of the other six songs recorded for the movie would be spread over the next 27 years (36 years if you count the duet version of "Today, Tomorrow And Forever"). Today we know that Colonel Parker thought Elvis' costar Ann-Margret would steal the whole picture if he didn't put a stop to it. And stop it he did. 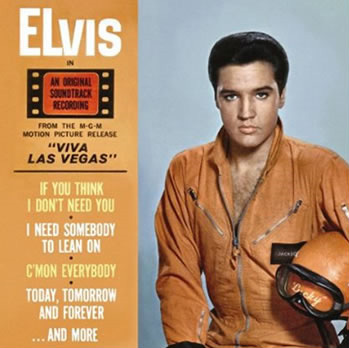 Only one of the three duets recorded for Viva Las Vegas stayed in the movie ("The Lady Loves Me"), while one was killed completely (the seductive "You're The Boss") and the last one transformed to a number sung by Elvis alone ("Today, Tomorrow And Forever"). Of course the Colonel's opinion about Ann-Margret's role in the movie spilled over to the soundtrack. Not even the duet used in the final print was allowed to be on a record, making a soundtrack LP more or less impossible. As my brother so rightly observed, "on all the other soundtrack albums Elvis ever did, LP's as well as EP's, his co-stars were always mentioned on the cover, but not on the Viva Las Vegas EP." No coincidence, surely? 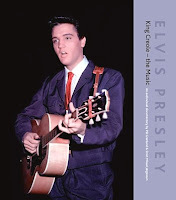 I have to admit I was somewhat disappointed learning that the next FTD release will be another book/CD combo, this one titled King Creole - the Music. Not that I have anything against the idea of FTD making so called audiovisual documentaries. It's just that this is the first one that offers nothing new music wise, as all the outtakes included have already been previously issued. Another thing that irritates me is that the CD doesn't even include all the available material from the King Creole sessions. 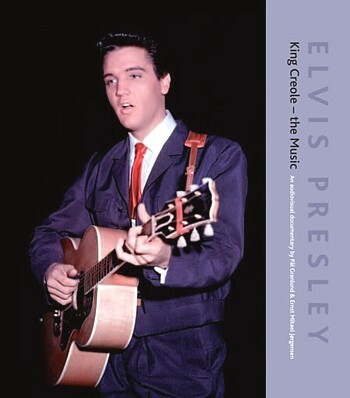 "Crawfish" (with complete Kitty White vocals) that could be found on Hits Like Never Before, Essential Elvis Volume 3 is missing, as is the instrumental version of "King Creole" (main title) that appeared on that very same release back in 1990. Maybe I'm just in a bad mood because the upcoming release King Creole – The Music means that there will be no King Creole in the classic album series. In a way I already knew this. But if the CD included in the combo would have included ALL the outtakes as well as movie version that differs slightly due to overdubbing, like the drumroll on the line "he holds his guitar like a tommy gun", then maybe it could've held it's own for a classic album treatment. While I'm at it, today's news that the FTD release following King Creole will be another vinyl LP, this time Good Times, didn't have me all excited either. 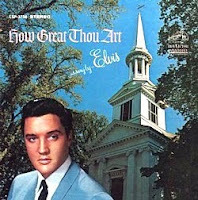 Now here's for hoping the mail man soon delivers my long awaited copy of How Great Thou Art. 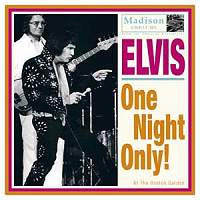 And then there is, of course, the DVD/Blu-ray version of Elvis On Tour to look forward to! Reading Tygrrius latest post on The Mystery Train Elvis Blog, about him buying reprints of the two Memphis newspapers’ coverage of Elvis’ death in August 1977, made me think about the time I found an old newspaper from 1963 – with an Elvis movie ad in it. This must have been in the late eighties or early nineties, during one of the times my family visited my grandparents in their house in Denmark. With eight persons under the roof me and one of my brothers had to sleep in the basement, on two old beds that weren't exactly manufactured yesterday. As a matter of fact, those beds had at least 30 years under their belts, proof being a couple of old newspapers tucked away between the mattresses and the springs, as some kind of insulation, I guess. I pulled out one of the papers and noted that it was from the sixties. Leafing through it, I stumbled across the movie pages. 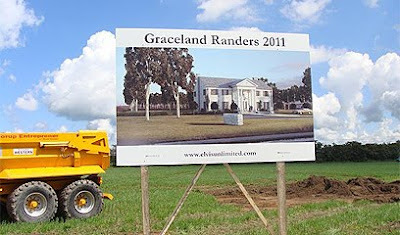 And there, among all the other ads, was one for Kid Galahad, together with a photo of Elvis. I don't remember if he wore a pair of boxing gloves or played the guitar, and I can't refresh my memory as I don't know where that ad is today. What I do remember, was the special feeling looking at an ad that people had seen and read in 1963 (a little bit of research on the Internet told me Kid Galahad premiered in Denmark in February 27, 1963), deciding that Kid Galahad would be the movie they would catch that night, maybe with a friend or a date. Not such a bad choice, neither now nor then.